Construction may not be the first industry that comes to mind when you think of areas ripe for disruption by blockchain technology. The construction industry is not where digital innovation has traditionally made many inroads, and it can be hard to imagine how distributed ledgers might help people whose jobs are to pour foundations or sheath roofs. Yet a Zimbabwean startup in partnership with Microsoft is going to the change the landscape of construction in Zimbabwe and Africa by incorporation the blockchain technology in construction. Africa Infrastructure Development Group (AIDG) is that Zim startup which you keep your eyes on if you are in construction. The startup has already partnered Microsoft to chase its vision and goal. Microsoft one on of the US tech giants leading the blockchain revolution, having already invested considerably in the technology in recent years. For a startup partnering with a giant like Microsoft, it’s an achievement in itself. It means that AIDG has a business case good enough to convince Microsoft to tag along. In this partnership, Microsoft brings along not only its technical know- how but most importantly its technological resources (be it software or hardware). Microsoft is no stranger to lending its helping hand to startups in Africa. Its 4Afrika initiative is a testament of its commitment to helping African startups. 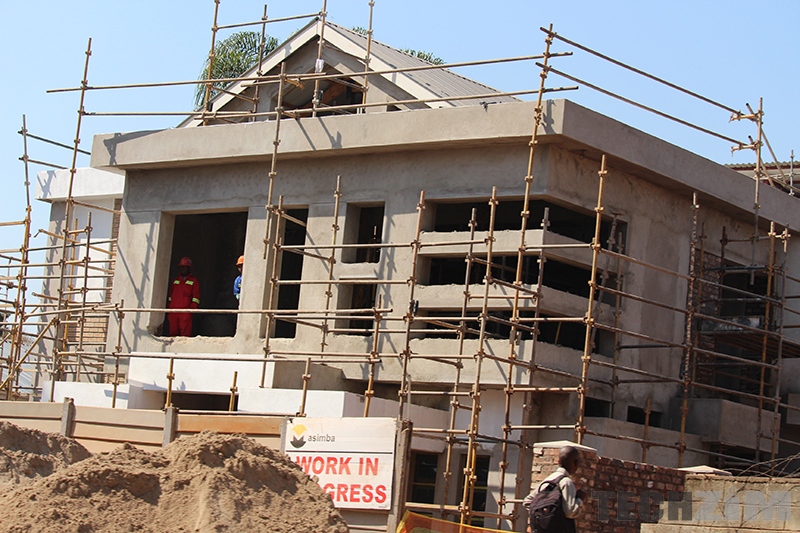 But AIDG’s use of blockchain technology in Zimbabwe’s construction industry hinges on the regulatory authorities’ acceptance of this technology. AIDG needs the blessing and support of the government and above all the Reserve Bank of Zimbabwe. It’s not surprising that officials from these institutions graced the Disruption in the Construction Industry conference Using Blockchain Technology conference held yesterday. Where is IDG is coming from? Smart contracts would have instructions embedded in a transaction so that unless the instructions are fulfilled, there is no payment. This ensures all parties are happy and that no one is having to chase people for payment, virtually eliminating payment disputes. How does the blockchain technology also come into play? The smart contract is visible to all users in the blockchain, so there’s no question about what the terms are and what instructions need to be followed. The government through the Ministry of ICT said it is determined to support AIDG’s initiatives in any way it can. Obviously, the support can only be expected in the regulation realm (conducive regulation) and not in the financial realm as our government doesn’t seem to be interested in investing in startups. The often-touted Public–Private Partnership which should be a gateway for the government to invest in startups is currently in the doldrums. Only in the regulation real is where startups like AIDG should expect the government’s support. The government would have to get rid of their resilience and skepticism to nascent technologies. Resilience and skepticism for blockchain are borne out of negative connotations of cryptocurrencies. That’s when the Reserve Bank of Zimbabwe (RBZ) is needed to convince the government on the benefits of blockchain. All our hopes of seeing blockchain technology going online hinges on the RBZ. The central bank personnel at yesterday’s conference said it has set up a task force to investigate the pro’s and con’s of this technology and come up with recommendations afterward. Accordingly, we expect a report from the central bank anytime. The RBZ said the taskforce workload is not limited to investigating the blockchain technology but to other technologies like regtech, suptech etc. Ways In Which The Blockchain Can Be Used To Improve Zimbabwe. Blockchain and crytpos are sure to come. But its the regulatory environment which needs attention to ensure success and smooth flow. Imagine if crypto currencies were soundly regulated enough to give the Zimbabwe population confidence, and imagine the unlikelihood of Zimbabwe ever going to own a decent currency for a long time to come. What would stop Zimbabwe entirely depending on crypto as an automatic temper-proof multicurrency solution !! Zimbabwe is best placed to become the first country to take Global Currency Reset initiative to the next level. Of course the USA will HATE that idea and try to stop it by all means as the concept may spread worldwide and disarm them of the global control of transactions which they currently enjoy. Then we simply stockpile our gold reserves as the backing store of value for the transactions…..
i don’t see how they are confused here?explain to us where you think they are wrong and you are right?